Thanks. Still more to go but I am happy how it has progressed. Just need those big ones then I can work on another aspect of my collection. So I decided to check out my DT book II again. I knew it was inscribed but I forgot what it said. 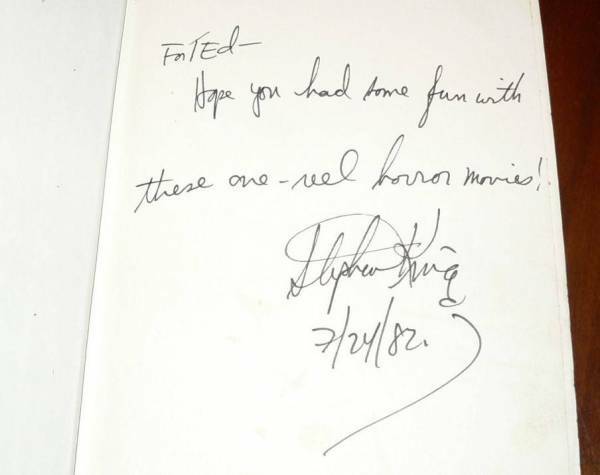 I mentioned to David at Betts that I had an inscribed copy so he was wondering what it said. So, I sent him what is inscribed. Then where it says "This is Copy_____ It is written "Authors Copy" Steven signed it again along with Phil in the correct spots. So that's it. A Mr.Kirby was Mr.Kings agent in the early years of his career. Kbird was Mr. Kirby's sister. I think that is pretty cool . Thanks. When I bought that one I did not know that it was a signed limited. The description only said it was signed and inscrobed. I all ready had books 3-7 so I thought that having a signed reg ed would be cool as well. When I saw that it was a limited I was excited . I thought to my self, even though it is not a matching set, at least I have signed limited editions for 2-7 now. With my first ed I was very happy with my DT set. Kay is Kirby's sister, not his wife. That sort of changes the tone of the insc ription, doesn't it? Thanks for the correction. I guess I got incorrect info. I will edit my orginal post. Still pretty cool to me though. Kay is Kirby's sister, not his wife. That sort of changes the tone of the inscription, doesn't it? Ha! Yes, it does indeed. That's a nice collection you have, Mike, especially with those review copies and that specially inscribed DOTT Author's Copy. Thanks Patrick. I do enjoy collecting. I am reading LSOE and I am now ready to start the Way Station. So I still have a way to go in the series. But it should be a fun trip. Thanks David. Still some things I would love to get. I have learned that slow and steady wins the race . Very,very nice collection you got there!!!! Thanks guys. I do enjoy it. And I have to say, so far I really like the LSOE. I am just going at a nice pace so I can enjoy the ride. In two more months I will have that Night Shift. Then all I need is Carrie, The Shining and Salems' Lot and. That's all she wrote. 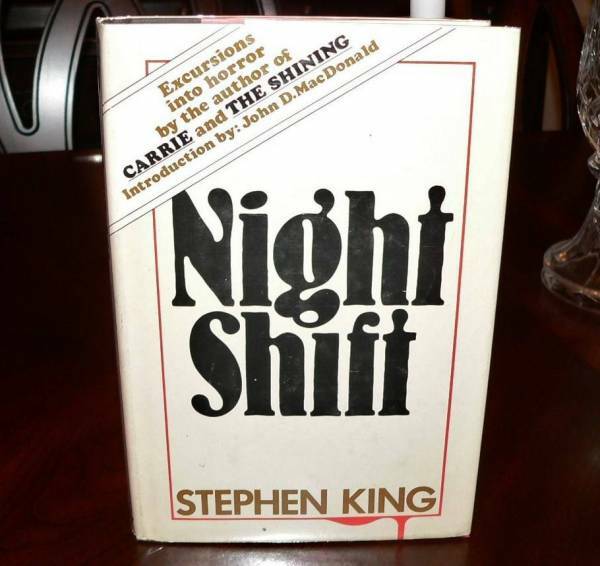 Now I just need Salems' Lot, The Shinning and Carrie and I am done the bulk of my collection . Very, very nice! And in decent condition. Congratulations! 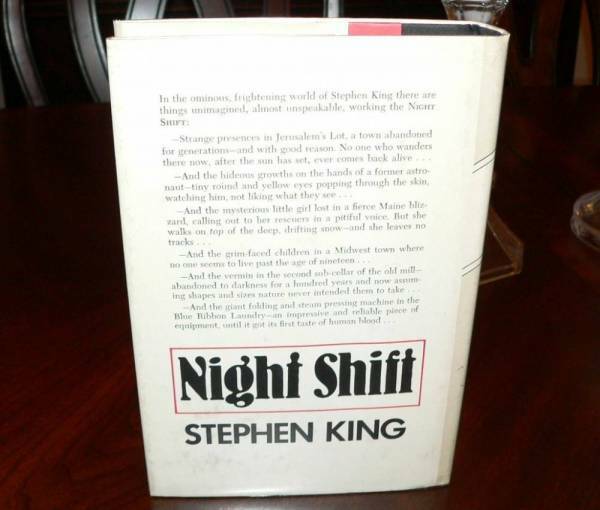 Signed copies of NIGHT SHIFT seem to be hard to come by. That DJ is so nice. 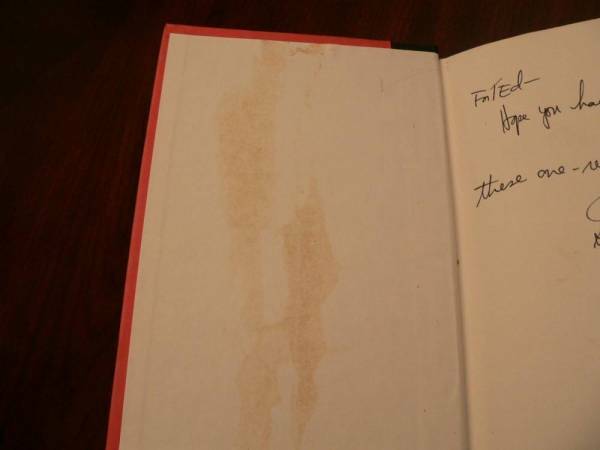 I wonder if a book restoration person could replace the FFE that is stained, and improve the value of the book? I don't know Randall. I might look into that at some point but part of me would be worried about the what if... issue. Yea, it is one of the best jackets I have seen. That is one of the reasons I jumped on it. The fact that it is a Non-Library book, no stamps or glue, and that jacket AND the fact that it is signed made me "over look" the stain. 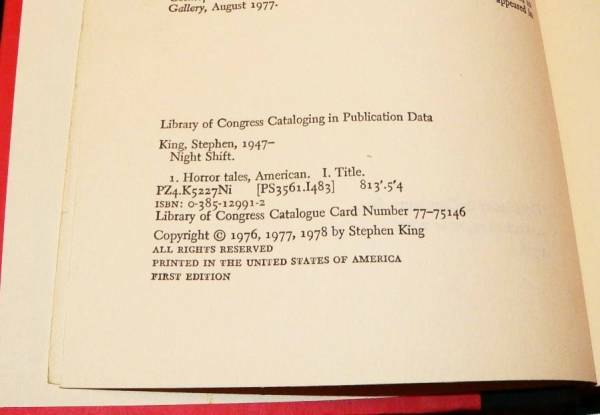 If I am not mistaken half of the 12,000 first ed went to Libraries so to get one like this seemed like a good thing. 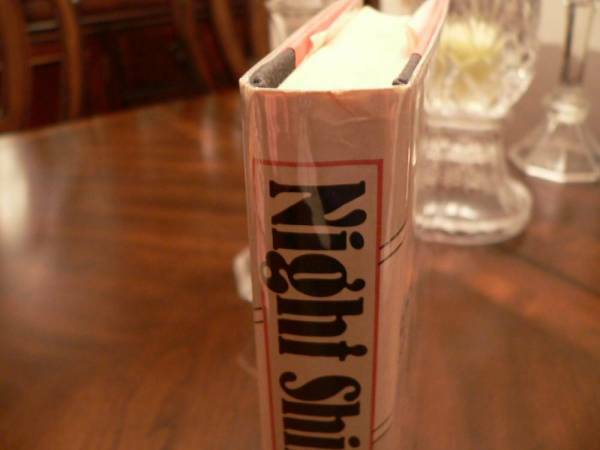 That's a great-looking Night Shift. I've got one like it, but mine's not a 1st/1st. Thanks. It is one of my best books so far. Next to the Gun Slinger first ed and my S\L DT books that I have.